Its funny how we look forward to the honeymoon and then as time passes forget that it isn’t supposed to be a one time wonder. The love of your life deserves more than just one romantic holiday. The honeymoon period is the best time in any relationship and then comes work and responsibilities and children and in-laws and domestic everyday things that dampen the spirit of love that made you start living together in the first place. Forget that, we will help you ensure that the honeymoon period lasts the longest and your love falls in love with you with every passing second. Now, if you thought you don’t need a second honeymoon, think again. Read. Think again. What’s so special? Want to have a nice romantic evening? Well, dine aboard the iconic Singapore Flyer which happens to be world’s largest observation wheel. This wheel shall take you above the city’s iconic landmarks. Coupled with breathtaking panoramic views this is the place to be if you want an out of the world experience, well close. Best time? The best time to visit would be 30minutes before sunset so you could soak in the beauty of the setting sun while high up in the air. Excited? 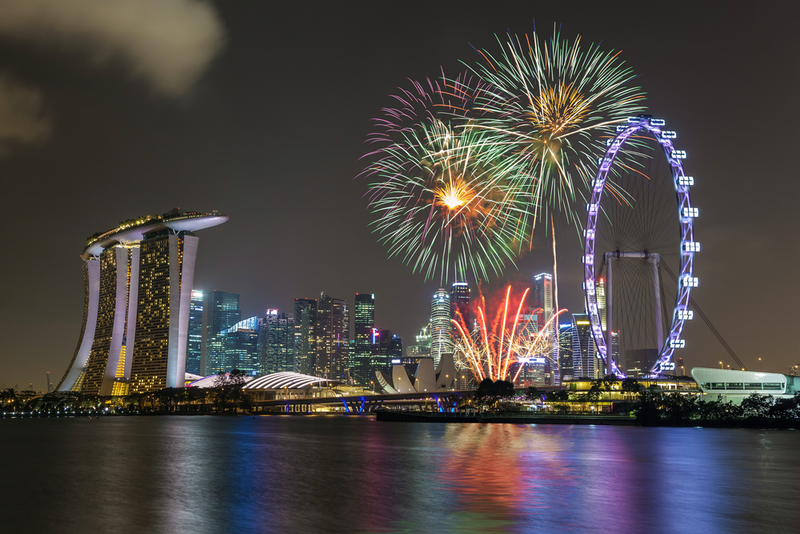 Wait till I show you this holiday package to Sinagpore that starts at INR 24999! What’s so special? Walk under the moonlight along this bridge that has a striking wave like architecture. The bridge goes from Mount Faber to Telok Blangah Parks. This is like those places in the movies where you could walk with her hand in your and maybe a glass of champagne in the other. Best Time? Under the moonlight. What’s so special? If you are looking for a lazy laid back evening with your loved one this roof garden is perfect for you. You could enjoy an uninterrupted view of the Marina Bay Sands, the Singapore River and One Fullerton from the roof. If you are the one for photography then this place form for perfect angles to get the right shot. Plan a picnic we say. If you are a book lover, check out the library too. Best Time? Any pleasant day is a good time. What’s so special? Sitting atop One Raffles place, this is the highest alfresco bar IN THE WORLD. Take your lady love there, women dig that kind of a thing. On a more unique note, this place has a combination of 3 concept bars and restaurants. You could go there just for the drinks or plan out an amazing fine-dine experience for the night. Best time? Dinner date. Avoid weekends and get a prior reservation. What’s so special? Head to the 57th floor of Marina Bay Sands tower and find this lounge which redefined the classy. Put on your finest outfits and got for a fine dining experience here, the view is to die for. This is the kind of indulgence you will never regret. Best time? Anytime is the best time for this place, during a pleasant day or on a starry night. Do book a table first. This is by far the most romantic place you can visit on your honeymoon package to Sinagpore. 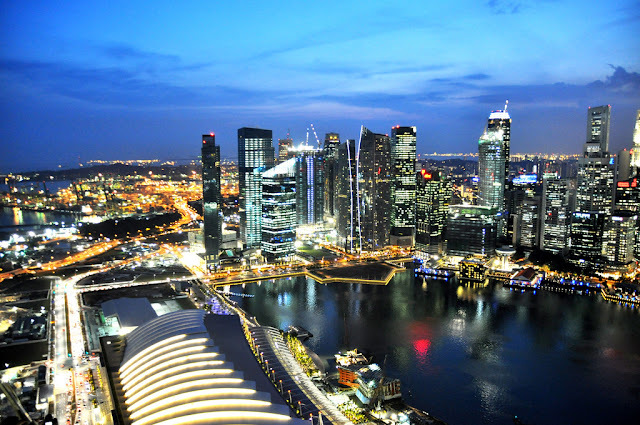 I have a luxurious holiday package to Singapore you should consider right here! Gardens by the bay in Singapore! Next on your honeymoon visit! What’s so special? 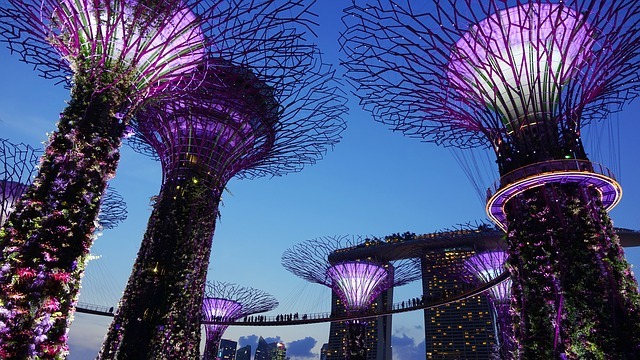 This happens to be a futuristic garden. The kinds they have in movies. Pretend its 2050 and have a time-travelesque experience walking hand in hand along the OCBC skyway suspension bridge. There are radiating supertrees in the background. You could also walk along the GBTB breathing in the sweet scents of the air. What’s so special? - The science centre is not just for the science enthusiasts, this is also a place you could lazily stargaze at while with your loved ones. Try West Coast Park or For Canning hills in the evenings for a private stargazing experience. This centre has over1000 interactive exhibits to make you marvel at the wonder science can do. Best time? - The place stays open from 10am to 6pm. What’s so special? - This is far from cheap, but hey your love deserves atleast one private boat cruise in their life. You could spend the night drinking some amazing wine with your favourite food and looking at the city lights. Bring in some flower and a tiny shiny trinket along too and this would be the most epic date you have EVER had. Best time? Spend a night here we say. Looking for a 5 night holiday package to Sinagpore with a cruise included? 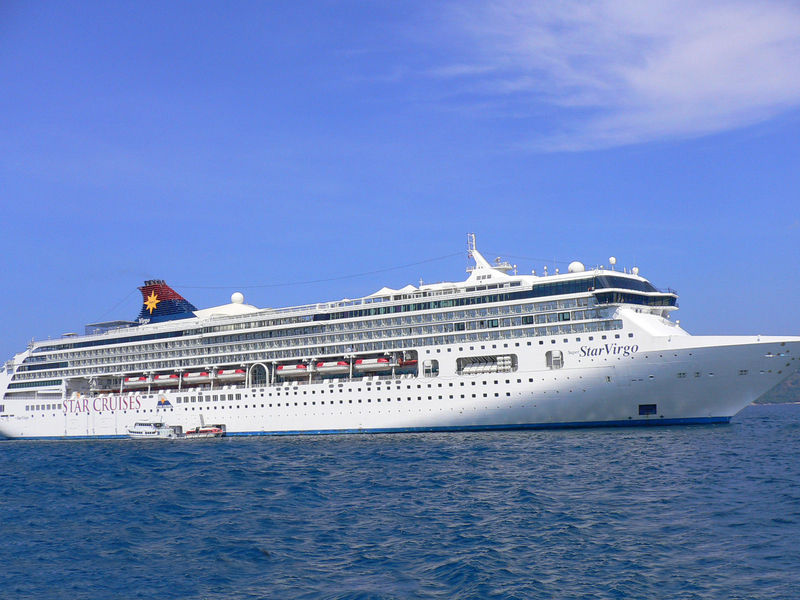 Look for your Sinagpore honeymoon package with cruise right here! What’s so special? The love temple houses the love gods in Singapore. They are the oldest here built by sailors in 1820s. This is a romantic escapade while you pray to the mood deity, Yue Lao who also happens to be a matchmaker. All your love wishes may come true here, child. Cost for two? God doesn’t charge. You could donate though. Best time? Whenever you feel you need a little bit of the higher power to strengthen your bond. What’s so special? Well, we have told you it is an island. What better to run off to a place surrounded by water with your loved one? This 39 hectare island is very remote and located in the southern most part of Singapore. 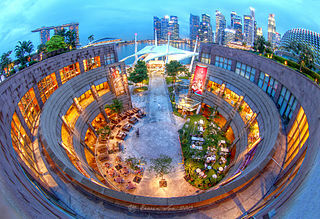 Getting here is easier from Marina South Pier and once you do it is a little heaven for romantics like you. You could watch dolphins too. There is accommodation on the island. Cost for two? $36 for the boat, free entry to the island. Best time? Anyday in Singapore with a good weather and when you are not pressed for time. I've shortlisted a great set of holiday packages to Sinagpore here from multiple credible operators. Prices are as low as INR 9555 for a 3 night holiday package to Sinagpore. I don't think it gets better than this! If you have made it to the end of the list and are reading this, I am certain you have gotten enough inspiration to go for a second honey moon. While you could visit Singapore whenever you please, the best time to visit Singapore is July to august to witness festivals and cultural diversity and February to April also happen to be a good time to visit Singapore if you are going for a lazy holiday just for the two of you. There can never be too much love and these place will make you fall in love again. Watch this space for more, we bring to you the most amazing places and the most amazing things to do. Married or not, craving for Singapore and the sky highs? 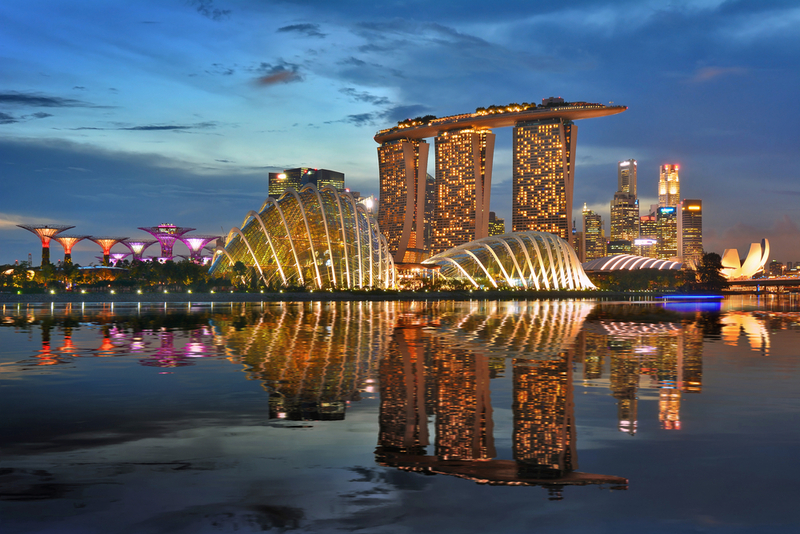 Explore and compare Singapore Holiday Packages here, and book yours NOW!